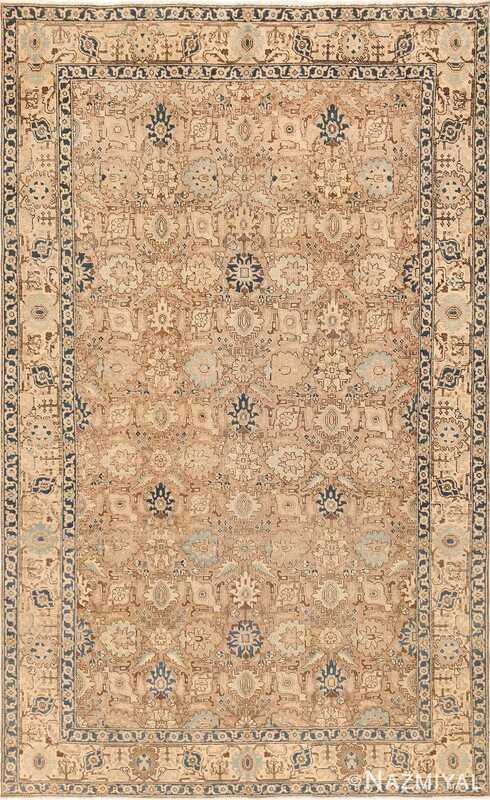 Antique Persian Tabriz Rug 49065, Country of Origin / Rug Type: Persian Rugs, Circa Date: 1940 – This exquisite Tabriz rug sets itself apart from others of the style due to a relatively thin border that lets the heart of the Persian rug shine through. The thin border’s rich crimson background sets up elegant contrast against the floral motifs present throughout. 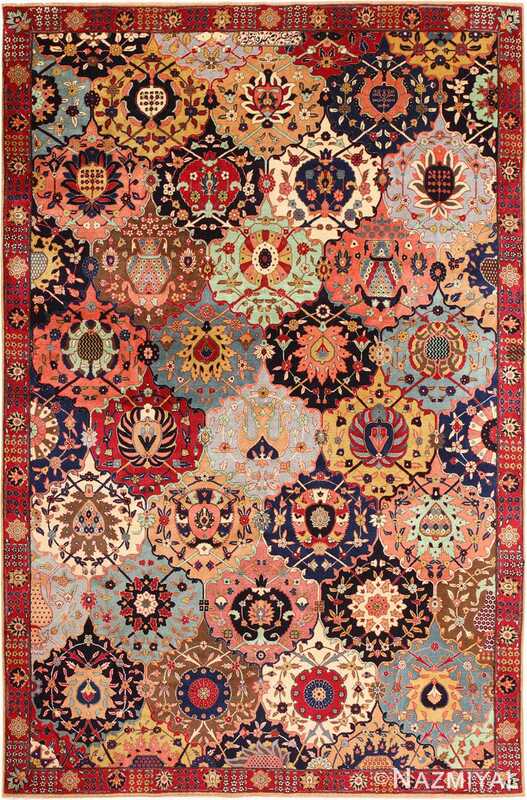 These same themes are at their most defined at the core of the antique rug, where they are amplified in terms of size and color. The floral elements overlap and draw attention to their individual form, all while standing out on their own through the skillful use of vibrant highlighting. 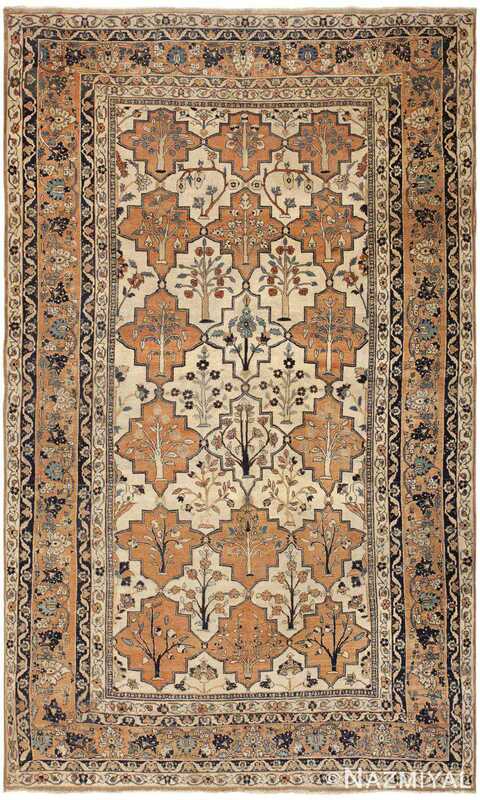 Graceful and refined, this regal antique Persian rug from Tabriz depicts a striking latticework pattern adorned with elegant floral sprays and arborescent shrubs.